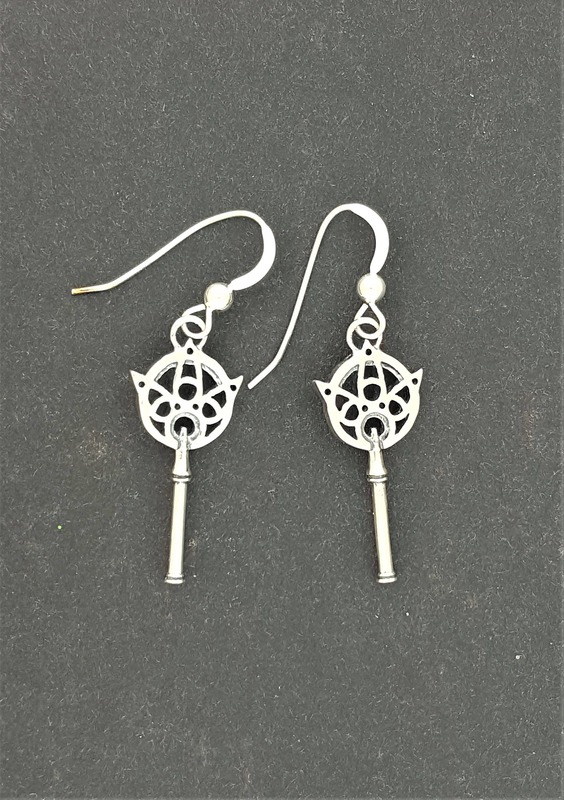 These are a pair of handmade sterling silver dangle earrings based on Yuna's wand from Final Fantasy X. The earrings are flat top and are 2.5 cm long and 1cm wide. They are based on the summoner's wand Yuna starts off the game with. Ask any gamer that has played Final Fantasy X and they will know where the idea for these came from! I have played most of the games in the Final Fantasy series, and often get requests for pieces made based on the games. Well, your request is answered! 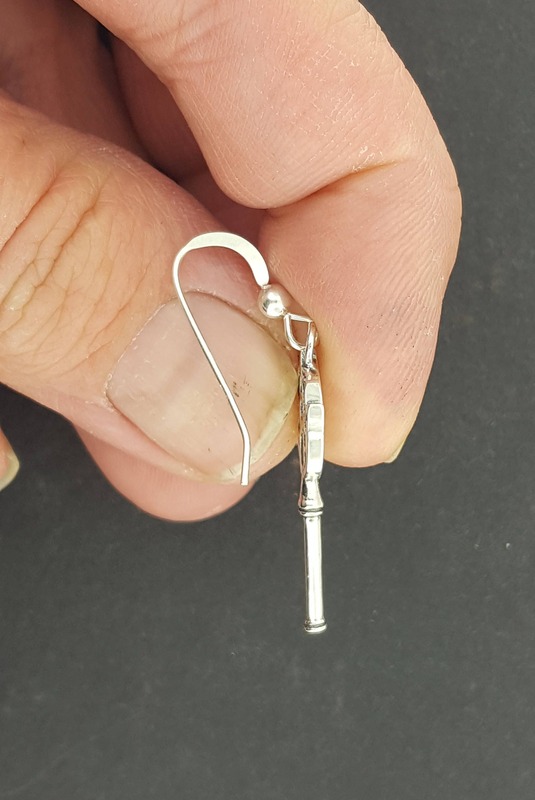 These earrings were designed as a custom request for a customer who really wanted these. And you know what, it gave me the excuse to make them finally! And if anyone has something they are looking for, let me know and I might be able to pull it off! 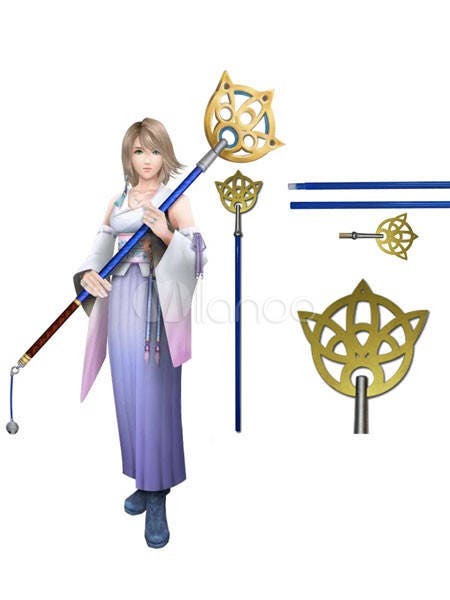 This design is based on the wand Yuna starts off with in Final Fantasy 10. The design of her staff is based on the Khakkhara, a staff used by practitioners of Buddhism. Elegant and high quality, exactly what I was looking for! Recipient is a huge FFX/Yuna fan and absolutely loved them.